Kneading dough. Making Christmas Gingerbread Cookies. hd00:21Men is making a deep in the flour before preparing a dough. Food preparing and bakery process. Slow motion. hd00:10Child enjoying wading in water. hd00:23Time lapse. Step by step. 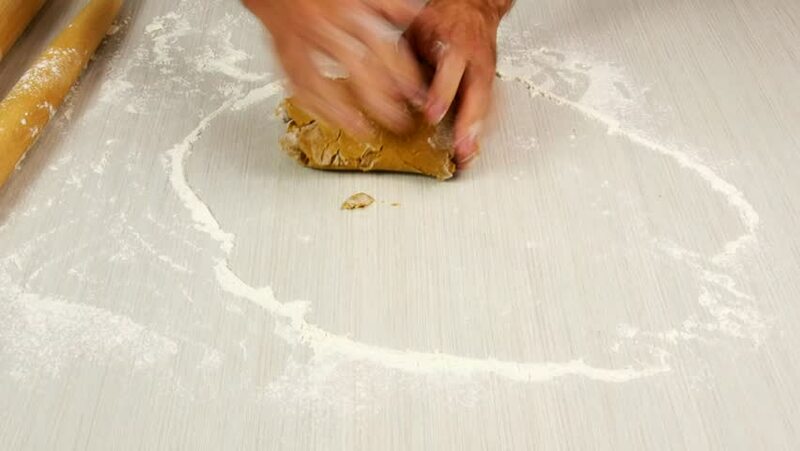 Rolling dough for home made empanadas.